A group of Canadian ornithologists and biologists have managed to change the official name of a particularly patriotic bird. Over the summer, the North American Classification Committee accepted a proposal authored by seven Canadian experts, including ornithologists Dan Strickland, Ryan Norris and RCGS Fellow David Bird, to restore “Canada jay” as the officially recognized English name of Perisoreus canadensis — known as the grey jay since 1957, when the American Ornithologists’ Union abandoned the 200-year-old use of “Canada” in the bird’s name because of a nomenclatural system they no longer use. The 2018 committee vote to revert to the old name was almost unanimous, with nine of 10 members in favour. The formal announcement was published in the 59th supplement to the Check-list of North American Birds in the July issue of The Auk, and the news spread like wildfire in the Canadian ornithological and birding community. This is a major development, because it will help David Bird and the other members of “Team Canada Jay” in their cause of establishing the widespread boreal species as the National Bird of Canada. As 2018 is the Year of the Bird, the experts hope that the federal government may look upon this development favourably, and take the opportunity to at long last give Canada a national bird. 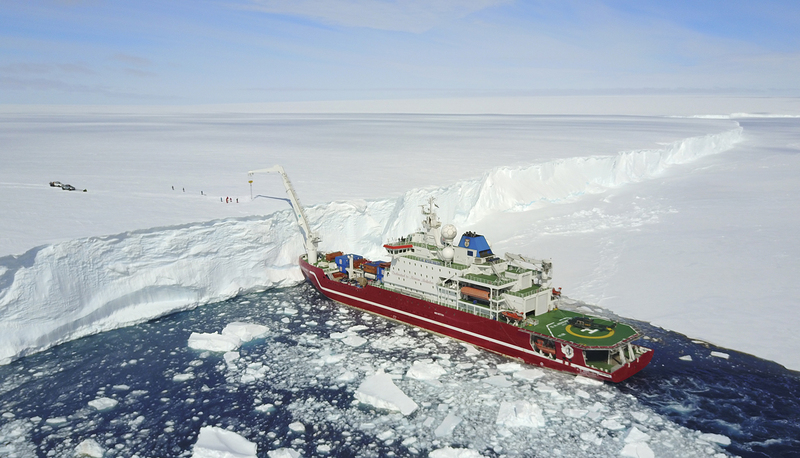 Julian Dowdeswell, glaciologist and director of the University of Cambridge’s Scott Polar Research Institute, has studied Arctic regions from Svalbard and Russia’s Franz Josef Land to Iceland and Ellesmere Island. Now he’s preparing to head south to Antarctica, where in February 2019 he will lead the international Weddell Sea Expedition. There, he and other researchers will study the Larsen C Ice Shelf, which in July 2017 calved one of the largest icebergs ever recorded, and will also attempt to determine the exact location on the seafloor of Endurance, British explorer Ernest Shackleton’s ship, which sank in the Weddell Sea in 1915. In support of his international Into the Arctic exhibition tour, painter Cory Trépanier headed back to the Arctic this summer. 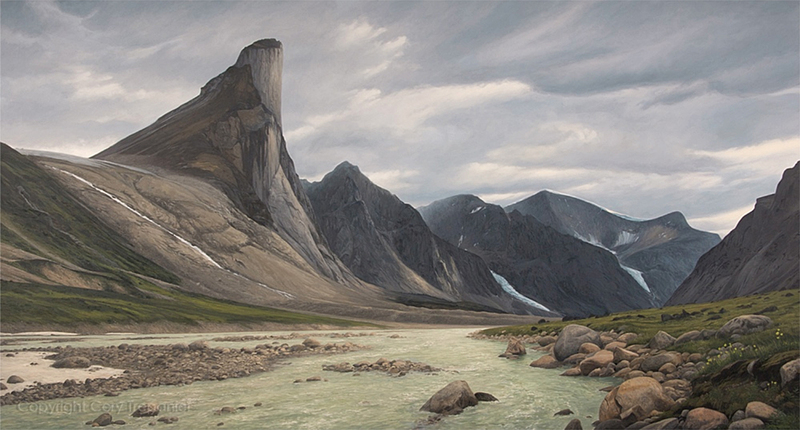 For the first two weeks of his expedition, he hiked for more than 100 kilometres, painting the dramatic landscapes of Auyuittuq National Park on Baffin Island. A major goal of the hike was to paint Mount Asgard. On Trépanier’s first journey to Baffin in 2007, this majestic mountain was highlighted on his map, but due to unexpected travel conditions he never reached it. Instead, he focused his energies on another incredible peak, which led to his 5x9-foot Mount Thor painting. Now he has at long last come face to face with Asgard and will produce a companion piece for Mount Thor. 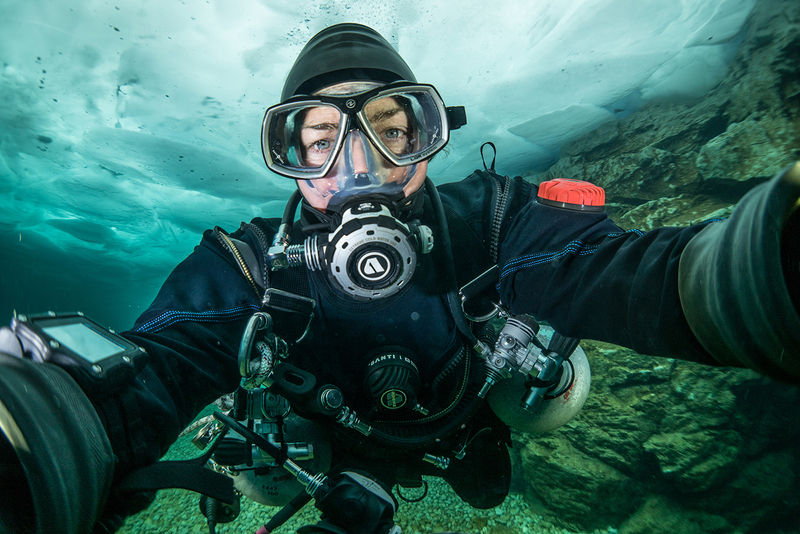 Trépanier shared the journey through social media and his Into the Arctic project website. Nathalie Lasselin’s ongoing Urban Water Odyssey expedition is not only about discovering and documenting the Saint Lawrence River — a water course that divers typically don’t explore — but knowing more about its state. One part of the mission is to cover more than 350 kilometres while taking samples of sediment and water to analyze the presence of emerging contaminants (more than 50 different contaminants are being studied by scientific researchers collaborating with Lasselin). In between those dives, she leads her team to various locations to clean the river bed in Montreal, removing more than 300 kilograms of debris from the water at each stop. This is a great opportunity for her team to share information with locals about these efforts to protect their water: 80 per cent of drinking water in Montreal comes from the St. Lawrence River, and 100 per cent goes back after treatment. To conclude the 2018 mission in September, Lasselin undertook something never before attempted — travelling more than 70 kilometres in a single dive from one end of Montreal Island to the other, passing though rapids and more. Click here to follow the story, or visit her official Facebook page. 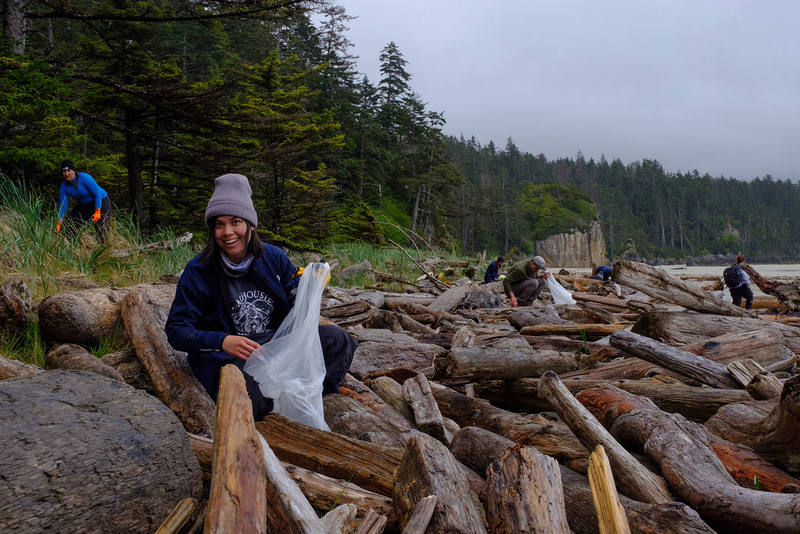 David Byng travelled to Haida Gwaii in May with 40 youth from across Canada as part of Ocean Wise’s team supporting the Ocean Bridge program (which empowers young people to develop projects related to ocean health and conservation). Byng, who retired as British Columbia’s deputy minister of education last summer, and who lived on Haida Gwaii for five years, says it was a special pleasure to return with Canadian youth, who were able to see the archipelago’s magic with fresh eyes while delivering their own marine conservation and ocean literacy projects to the islands. Later in the summer, Byng led a scientific expedition to Fiji that focused on supporting Indigenous Fijian families and the Fijian government as they consider the creation of a new national park. This space would protect some of the world’s most diverse and unique ecosystems and encourage local economic activity in a place struggling with the impacts of climate change (as are many South Pacific islands). While in Fiji, Byng documented the expedition for Operation Wallacea, as well as the impacts of climate change in Fiji for the Asia Pacific Foundation of Canada. In July, Mark Terry travelled to Iceland as the scientist-in-residence on Adventure Canada’s circumnavigation of the island. While there, he continued his PhD research in “geodoc” filmmaking, shooting climate-change impacts, field research and interviews with researchers based in Iceland. The film fragments, or “mini-docs,” are geolocated on a digital map of the world according to the exact longitude and latitude of where the footage was shot. The project is an official partner program of the United Nations Climate Change Secretariat and Canada’s Ministry of the Environment and Climate Change. 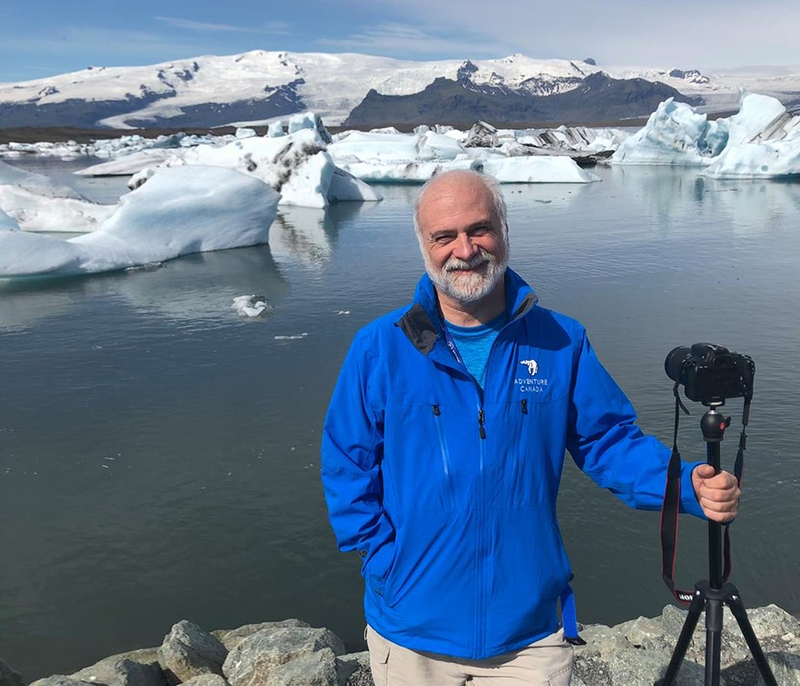 The Iceland videos will be screened at the COP24 climate change conference in Katowice, Poland, this December, and Terry will also be using the footage to make a documentary television special called The Changing Face of Iceland. This represents the third installment in his trilogy of polar films on climate change, the other two being The Antarctica Challenge: A Global Warning (2009) and The Polar Explorer (2010).